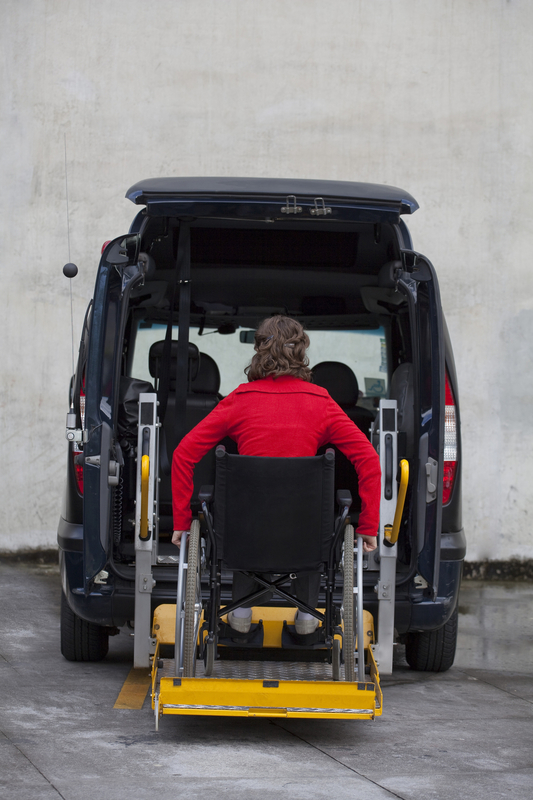 For wheelchair users, getting around can require a certain amount of planning and preparation. 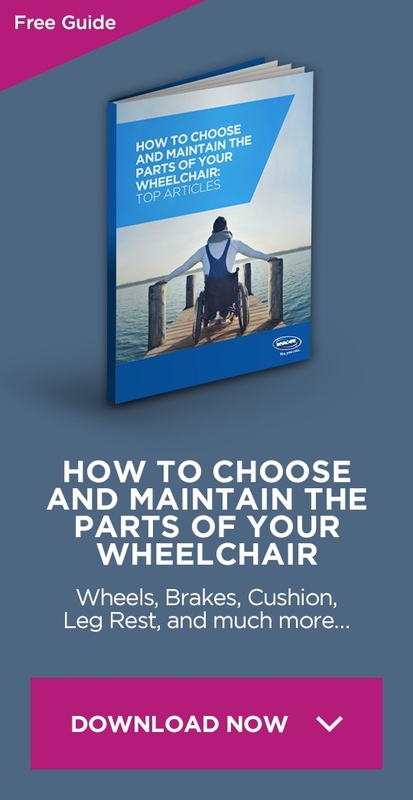 As well as the obvious – finding accessible routes and locations, and transporting a wheelchair where required –there are extra things to bear in mind that wheelchair accessories can help with. Is it possible to carry a hot drink? What if the weather is bad? 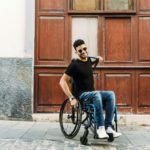 How can I stop my wheelchair from tipping over backwards? Is it possible to carry my shopping home when I use my wheelchair? 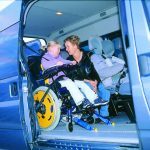 Thankfully, there are accessories on the market for wheelchair users that can assist with the situations that can arise in daily life. 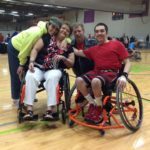 They can be utilized by people who use both manual and power wheelchairs, depending on the accessory, and they can make a real difference to managing everyday tasks. They are commonly known as wheelchair accessories. Rainy days can pose unique problems for wheelchair users. 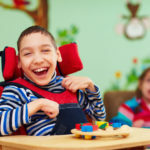 For those who self-propel a manual wheelchair, wheels that go through muddy puddles are also in contact with hands and arms, and this can get very messy and even cause damage to clothing. Wheelchair gloves are designed to not only keep hands clean and dry, but they are also made of strong, resistant material that will not suffer through wear and tear. Special arm sleeves can also be bought to protect clothing from getting caught in soggy wheels and to help to prevent the action of propelling a manual chair from causing tears and weak patches in clothes. On a rainy day, it can also be difficult for a wheelchair user to keep themselves dry. Items known as wheelchair ponchos, wheelchair rain covers, wheelchair macs and wheelchair aprons can be purchased that cover the individual and much of their chair in a water-resistant material. 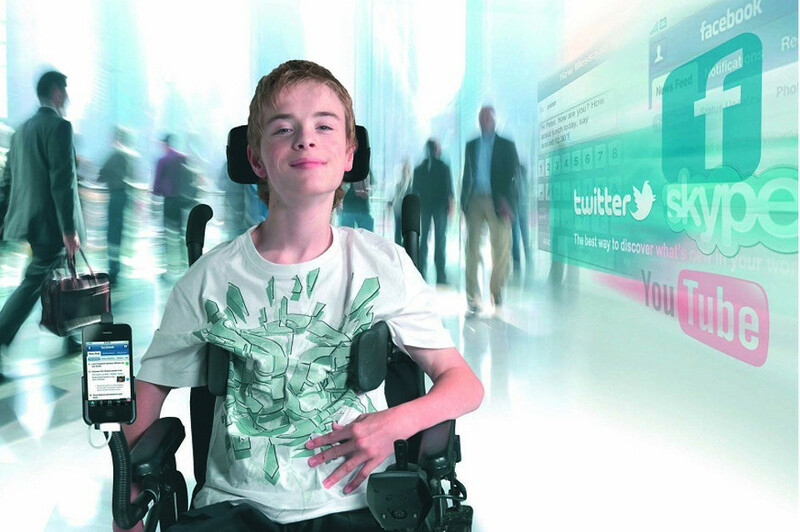 When the skies are emptying and there is no end in sight, this specialist wheelchair clothing can make a real difference to a person’s comfort and well-being. After all, nobody wants to be sitting in damp clothes all day. Wheelchair rain covers are available that can shield a wheelchair when it is not in use, too. They can fit foldable, lightweight wheelchairs or larger, electric chairs and keep the metal and seat dry in a downpour. Wheelchair umbrellas are even available, which clip onto the metal mechanisms on most chairs and protect the wheelchair user from the rainfall. Lap trays can be an invaluable accessory for wheelchair users, as they cover a wide variety of situations that can otherwise lead to difficulties. Whether you’re eating out and your chair does not fit under the restaurant table, or you’re trying to use your laptop on your knee at home; a lap tray can be the perfect tool to manage these tasks. For people who struggle to hold onto things like drinks, using a lap tray and a straw can resolve this problem, leading to more independence for the user. Lap trays that are made with beanbag bases can be especially comfortable and easy to use, or alternatives can be clipped to the wheelchair’s arms and flipped out of the way when not required.